In a change from the regular chore jacket, boiled denim and Japanese Americana programming, I offer this for your perusal. It’s fully on the smarter tip. A bit on the grown-up side of things. Almost as though it’s designed for dudes who make money by moving pounds rather than pixels. 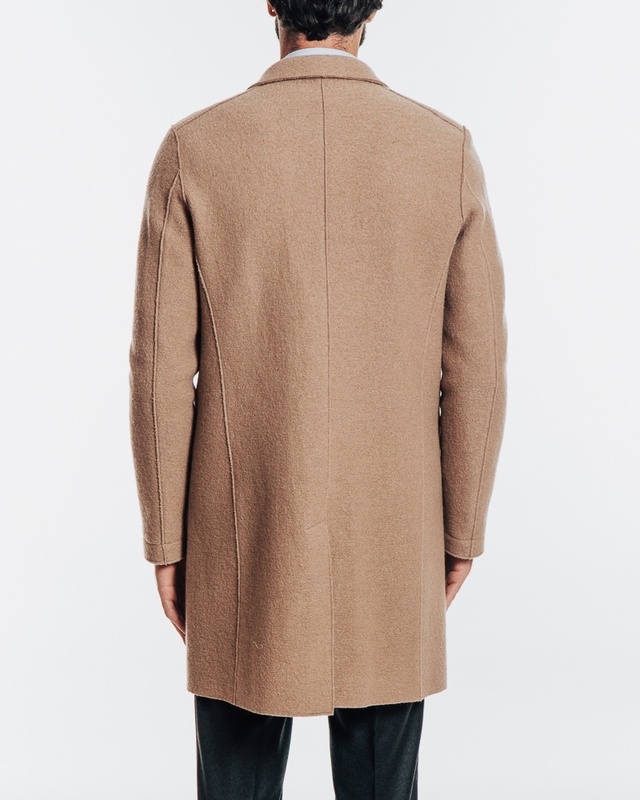 But there are a couple of crucial details here that keep this banger grounded and ideal for a street level dude who just wants to neaten up his game for winter. Firstly, while it’s got a double-breasted fastening, it also boasts a notched lapel (rather than the usual double-breasted friendly peaked). So there’s an element of subversive modernity right there. 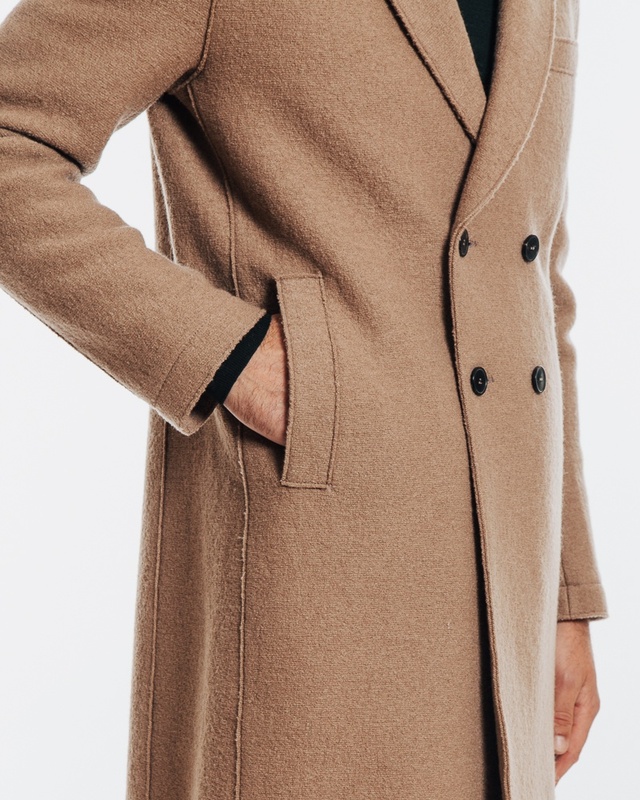 Secondly, there’s raw edged seaming going on, which in the most literal of terms gives the coat a rawer, edger look. But crucially, it still looks smart. The boiled wool bouclé weave provides lovely texture and, rather than the slacks and knitwear it’s teamed with here, I can see this killing with some vintage jeans and a pair of chunky Vibergs or Yuketens. It’s by Harris Wharf London and will run you 340 coins over at Trunk. 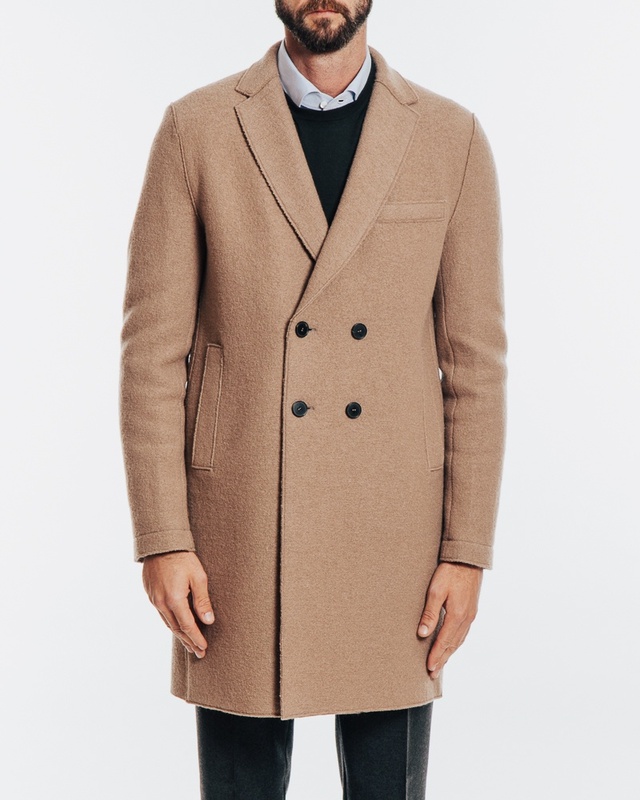 I’m really feeling this for the colder months. It is pretty sensible though. I must be getting old in my old age.